The estimated amount of heat or air conditioning lost through the windows in the average home is somewhere between 15 – 40%. New, energy efficient windows have double, if not triple pane windows with Low E glass, and possibly argon gas filled, and will increase the energy efficiency of your home. If you're tired of taping plastic over your windows every winter to stop heat loss, these window are for you. Low E, short for low-emittance, have microscopically thin, virtually invisible, coatings made of metal or metallic oxide layers. They are deposited on a windows glazing surface primarily to reduce the U-factor by suppressing radiative heat flow. So, what does REALLY mean? Low E is now available in what is called – Low E squared, or Low E2. In simple terms, this means the sealed, dual pane unit is coated on both sides, interior and exterior. Low E Glass helps keep your home cooler in the summer, as well as helping to keep a good amount of the heat inside your home in the winter. 1. Call us to arrange an appointment for us to come to your home or business to measure your windows in order to provide you with your FREE estimate. 2. Next, we will fully explain your window options and answer all your questions to ensure you make an educated decision on the best windows for you, your home, and your budget. 3. We let you deal directly with the window distributor, in order to get the best price and the brands you desire. We do not mark up window prices! We charge only for installation. 4. We handle the ordering of your window selections, take full responsibility for ordering them properly, at the correct size, thickness, and type. 5. 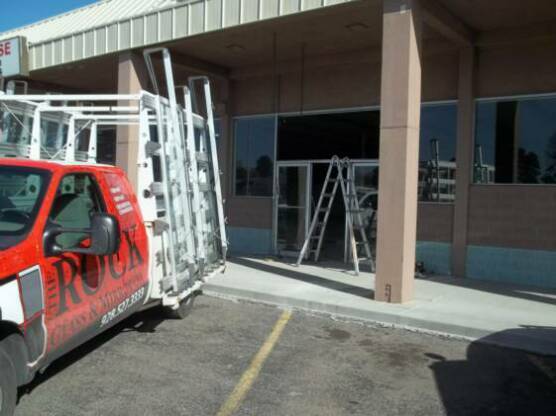 The window distributors will call us when your windows arrive. We pick them up, and bring them to you for installation. Everything we do until a purchase decision is made, is always FREE of charge. It is our policy that even after we set up time to meet, measurements have been taken, and even after we have shown you some of your window options and have given you an estimate, if at any time you decide for any reason “replacement windows” are not for you, we will gladly leave you with a business card and a handshake – and we hope you will remember us when the time is right or possibly refer us to a friend or family member. Many windows and window components carrying the ENERGY STAR logo qualify for FEDERAL TAX CREDITS. Energy star, highly efficient windows are an investment into your home and the future as you help conserve energy. As well as the fact that they raise the comfort level of the place you spend more time than anywhere else on the planet - your home. Departments of energy (DOE) as well as the Environmental protection agency (EPA) have developed an ENERGY STAR designation for products that meet a certain energy efficiency criteria. In today’s world, it is always very important to look for windows that carry this logo. Be assured they have been through strict government testing and met energy efficient criteria. 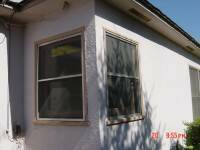 Window replacement is an investment in your house. They can most definitely be a step in the direction of making your house a “home”. We consider it a privilege to assist you in that journey any way we can. 1. Replacing the sash kits. Many manufacturers offer replacement sash kits, which include jamb liners to insure good operability and fit. This particular method allows for fairly easy installation, and can offer significant savings. 2. Inserting windows into the existing frame - This is also known as “Retrofitting”. The old sash, side jambs and trim are removed, but the original frame is left in place. The new window is inserted into this opening. 3. 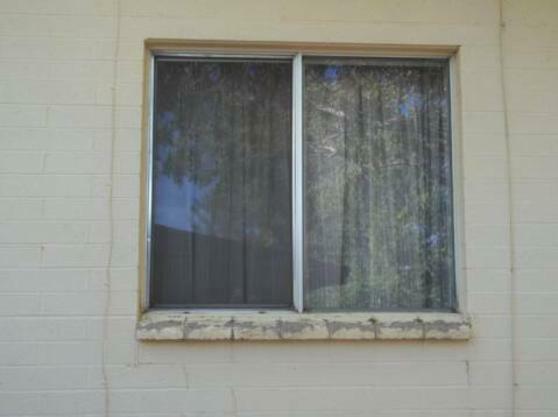 Full window replacement – The existing frame is removed and the new window is placed into the same position that was occupied by the original window. 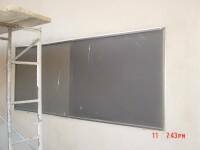 This is a great time to address any other problems that may have occurred around the old frame, such as water damage, air infiltration, repair improper installation of original flashing and so on. How do you know which windows to buy? Certainly it can be difficult to decide. "I started out in the window business in 1989. The glass shop I worked for carried two different window lines. I then went to work for one of the largest window manufacturers on the west coast (…read more about Damon’s background). Since that time, I have spent more than 23 years installing windows that were purchased by the homeowner or a builder. 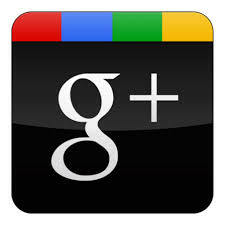 I have also been asked to sit in on meetings with architects, contractors and make recommendations." We do NOT sell windows, rather we allow you to deal with window distributors directly, and install whatever brand you purchase. We are NOT PAID to endorse any particular brand. The following reviews are simply helpful hints and tips based on what I have learned about popular manufacturers in my 23 years of experience. Hopefully, this will help someone out there who's looking for a little insight to making an educated decision. Please check with the manufacturer's website, read all their fine print, and ask all the proper questions as some information may change. pros: There are only a few window manufacturers that deserve to be in a luxury home, and these are them. I have never seen a better window, Period. They are made in Canada, where they know a little bit about weather. I have never seen a nicer, more well built, superbly designed window ever. Most “wood-clad” windows (over 90%) are made with pine. I don’t think you have to be a horticulturist to know that pine is ok, but for this kind of money these windows come in Douglas fir, and even mahogany. Loewen windows are far superior to any other window on the market. They not only perform well, and last, and but rarely need service. They’re expensive and worth it. They have an unbelievable amount of options, where so many other manufacturers are limited. You can get these windows in more configurations, colors, designs than any other. Heck, you can get these windows with a copper exterior. And they are beautiful! They take a home to that “next level”. Loewen has a 20 year warranty. If you need a service technician to take care of a window problem, (and problems DO arise), I would never, ever recommend buying a window that is outside the window manufacturer’s service area. Unlike some others, Loewen sells only to areas they service. If they are installed outside of a certified Loewen service area, finding a qualified technician to work on them may be a challenge. Loewen’s warranty is standard, with one wonderful exception. If you have an issue that is within warranty (most common things are going to be a casement that needs adjustment, or a dual pane seal failure) they are going to send out a certified Loewen service technician. And that is priceless. Once in a while, dual pane insulated units loose their seal, and “fog up” or “condensate”. That is when you get moisture between the panes, and it looks “wet”. If that happens, MANY window companies on the market today will warranty the glass. But! What you don’t know until it’s too late – is their warranty is for them to only SHIP you a new piece of glass. cons: The only thing to be aware of, which only takes some planning and a little organization, is they can tend to have a longer lead time than others. But remember, McDonald’s is fast…. a five star steak house is not. In the United States, I don’t believe there is another window manufacturer more widely recognized than Andersen windows. They have done a great job at “Brand Recognition”. They have spent millions of dollars on marketing, and it has paid off. Andersen windows can be found just about anywhere. Big box stores like The Home Depot or Lowes, as well as hardware stores nation wide. Brand recognition is not necessarily a bad or good thing. We all recognize the word Nike, right? And they make good shoes, among other things. Their products are widely recognized and can be found everywhere. If you have ever bought, or considered buying a Nike shoe, they are definitely more expensive than a Walmart shoe, yet another very recognizable name, but not the same quality. Sometimes, you get what you pay for, but not always, sometime consumers can be misled by brand recognition, and it is my opinion that it most certainly is the case with Anderson windows. pros: Overall, they have everything you should expect in a window and door manufacturer. They have a complete line of products. Andersen windows are available in just about every window configuration you could imagine, where some manufacturers are limited. Anderson can make casements, awnings, single hung, double hung, sliding windows, picture windows, transom windows, bay and bow windows as well as special configurations. 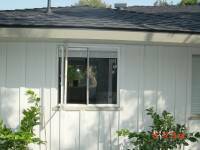 They carry a huge line of replacement windows they call Renewal by Andersen, a subsidiary of the Andersen Corporation. 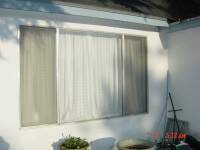 They are available as insert replacement windows, as well as a full frame replacement product. 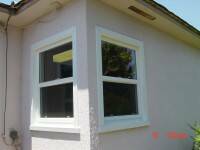 is always a large minimum order, and windows done in a custom exterior color are outrageously priced. 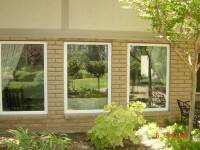 I have had the opportunity to service many Andersen windows in my 23 years of experience. They do not use strong, heavy duty, well made products to assemble their products. Their frames are not strong. The cladding is thin. 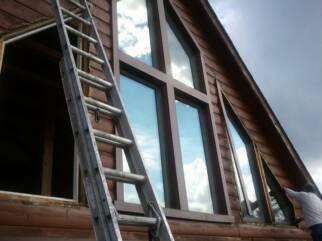 Cladding is the aluminum fiberglass or vinyl on the outside of a wood frame window. The hardware Andersen uses is not of good design. It is very normal for parts and pieces (handles, locks, and cranks) to break on an Andersen product. They have always have been a service nightmare. The way their windows are designed, as well as manufactured, you as the consumer can plan to pay considerably more money when your Anderson windows need service. In conclusion, it is my opinion that Andersen Windows are well recognized, way overpriced, and I would not recommend them. From 1995 – 1998, I worked at a builder's supply house that was, among many other things, a Weather Shield dealer. That being said, I wish there were more good things I could say about Weather Shield Windows & Doors. Weather Shield BALANCERS (the springs that hold a window up) are good. They use a coil system, as oppose to a more standard channel balance. These styles are great! They are much less prone to problems. They are safer and better looking. They use extruded aluminum, as opposed to roll form, which is great. Extruded aluminum is about three times as thick, and contrary to what some salesman might tell you, it is much better. The way the windows are assembled, the inferior products used in them, and the hardware, is all sub-par at best. The dual pane seal failure rate is unbelievable. Seal failure causes moisture accumulation between the two panes of glass, resulting in a fogged up look. Most good vinyl window manufacturers glaze their glass the same way. Glazing is a term used for installing the glass portion of the window unit. They apply a good quality, 2-sided tape all along the frame. This assures not only a good seal, but also once the glazing bead (the 4 pieces of vinyl that hold the glass in) are applied, there is virtually no way the glass is going to come loose. This is standard and a great procedure. 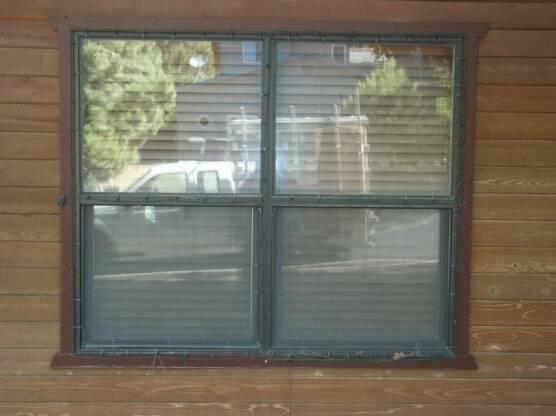 Weather Shield “Visions 2000” vinyl window is glazed from the exterior side – not a great idea. It is what is referred to as a “silicone set”. That is when a bead of silicone is run, by hand at the factory, up against the frame where the glass is going to go. They actually take a second step in their glazing process, something that no other window manufacturer that I'm aware of does. They put two face tapes on their frame, and yes, that’s good. However, they make two huge mistakes. First, they apply the tape all the way around the window in one continuous run, instead of two sides, a top and a bottom. And secondly, they hand apply a bead of silicone on top of the tape before setting the glass. Now, you many think, “Isn’t one continuous run of tape better than four pieces? That way you don't end up with seams where the tape comes together.” No, it's worse. If you take your time, and properly put two sides on the top and the bottom, without stretching it and making nice tight seams, you end up with a way better product that will not leak. By adding a second layer of silicone to their windows before setting the glass, two things end up happening. First, because the silicone is applied by hand, it is inconsistent. So when it sets up, it actually does much more harm than good. This creates gaps between the glass and frame due to the parts where the glass is touching the silicone in some places, and not in others. That is the first reason Weather Shield windows have major leaking problems. Secondly, the extra silicone seal very often oozes out all over the glass and frame. When I toured their plant in Medford, Wisconsin this was quite evident. The glass handlers, who install glass into Weather Shield windows, are constantly battling the silicone. “Hey, you put on too much”, one lead supervisor would say. Because they cannot hold up the assembly line, they do not clean the silicone off the glass. So, off go the windows to be delivered, with silicone all over the glass. This likely results in the glass being scratched down the road as the homeowner or a window cleaning company tries to get the silicone off. Or, worse yet, this sloppy extra seal creates gaps in the silicone where water is just going to pour in, and it does. Their glazing bead is also the flimsiest in the business. It not only is super thin, and sits out baking in the sun, but is quite often cut short when applied, leaving more gaps for water and air infiltration. Weather Shield sliding windows do exactly that, slide. The industry standard for “sliding” windows should actually be called “rolling” windows. The consumer has so many options in windows today, from casements (crank out) to awnings (crank up) to sliders (rolling), and everything in between. The “slider” has been, by far, the window of choice for years. It does not need much hardware, and is cost effective. Every sliding window I have ever seen, even the old aluminum ones that are 30 years old, have a pair of rollers on the bottom of the “vent” or operable side of the window. Weather Shield windows do not. To save money, I suppose, their sliding windows have 2 pieces of plastic that the window "glides" on. That engineering decision did not work out very well. I have been on a ton of service calls in the last 20 years where the complaint is – “my sliding windows don’t slide very well” and if it is a window any larger than 4’ x 4’, it's heavy so it's very hard to slide. Weather Shield sliders do not work well at all, because they lack rollers. Weather Shield wood clad products are a bit deceiving. It looks and appears to be in the same arena as a Pella, Marvin, or Loewen wood products, but it is not. Their jambs (interior sides) are plastic inserts (enough said). Their hardware is industry standard, which is Truth Hardware (www.truth.com). The reason a window is called wood clad, is because it is a wood window, with aluminum, vinyl or fiberglass attached to the exterior of the window to provide protection from the elements. In a good, better, best scenario. Alum – Vinyl – Fiberglass. Weather Shield likes to say they have a standard 10 year warranty like most everyone else, but it is actually nothing like anyone else. It is a 10 year warranty on glass only, non transferable (if you sell your home, the new owners get nothing), and when their glass condensates (and it does, at a higher rate than any I have experienced), they leave all the work up to you. You better have your original paperwork, and even then, you will be one of the lucky ones if the glass they crate up and ship across the country makes it without getting broken. Then, cross your fingers it will fit. Now, you get to hire someone to install the glass into your window (reglazing), because their warranty doesn't include labor. If you hire someone who has ever reglazed a Weather Shield window, they will probably charge extra to fight their way through all the silicone. Talk about one of the most solid, “bang for your buck” window companies out there. 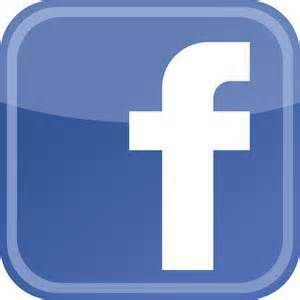 JELD-WEN Windows & Doors is a great, all around window company. They are one of the last remaining family owned, large companies manufacturing their products right here in the USA. They are still owned by the Wendt family, and employ over 20,000 people. They carry one of the most complete lines of door and window products in the industry. Windows are available in all kinds of shapes and sizes, plus exterior doors as well as interior, standard sliding glass doors and even high-end French doors. JELD-WEN manufactures wood, vinyl and aluminum products. 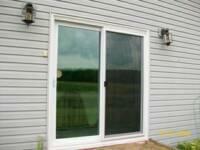 They carry a “builder grade” which is an entry level window, as well as a premium line. The main difference between a builder grade window and a premium line window is the "bells and whistles". And whether you choose the builder grade, or pay more for a premium window, you can rest assured JELD-WEN windows are each manufactured at a high standard. Many consumers can be misled by a company that carries a “builder grade” product. What does that mean exactly? Typically, in the construction industry, is it a polite word for low quality. A “builder grade” window by JELD-WEN is just a title given to a window that is not over kill for the home it is going into. In this case, it is by no means a low quality window. Like other projects, you can “over build” a house. Putting a 5” thick, Douglas fir casement/awning/French door package in a $200,000 house would be what is referred to in the building industry as "over building". You must be wise to choose quality products to put into your home, but not invest too much money into things that will never earn a good return on your investment. JELD-WEN manufactures some of the highest quality, most beautiful entry doors you will find anywhere. They also offer ENERGY STAR qualified options. 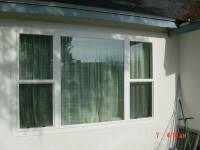 Their windows are available in both new construction and replacement options. JELD-WEN is one of only a few companies that offer almost every one of their windows in both applications. 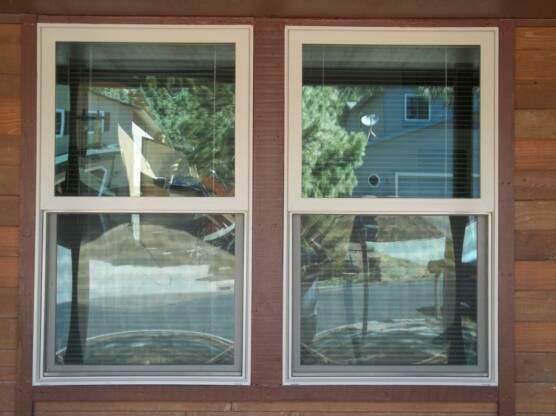 They do not limit their replacement window line to just single hung and sliders as many others do. If I were to give one piece of advice that may reflect negatively to JELD-WEN. It would be that their warranty has always been very confusing. Not that it isn't good, I have had fairly pleasant results when you eventually get a warranty issue resolved. I just think they could cut down on the red tape, and go to more of a straight forward – lifetime warranty. Depending on where you live, like many other window manufacturers, finding a service technician can also be an issue. JELD-WEN windows are sold at many places, from big box stores to smaller window dealers, so your level of service can vary and possibly lead to issues. I strongly believe that JELD-WEN's huge line of options and competitive price point, make them worth a little service headache. I think we could all agree there are many products out there with outlandish claims, slogans, and mottos. Companies all have catch phrases they hope we will recognize and remember. For 50 years now, Milgard Windows &Doors has said they are – “Clearly the best”, and I can tell you without hesitation, they sure are. Milgard Windows & Doors is the most service oriented window manufacturer around. They continue to win award after award year after year. They have been voted “Best Quality Vinyl Window” in the Nation 7 years in a row by Builder magazine. 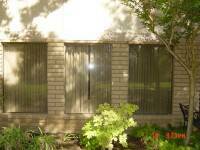 For starters, they manufacture the most complete line of windows you can find anywhere. 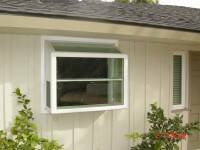 Milgard Windows & Doors manufactures aluminum, 3 different types of vinyl, fiberglass, Douglas fir wood windows, and even a “Quiet Line” sound control window. Milgard’s aluminum frame window is made out of the most durable material you will find. Their aluminum is one of the thickest products available. 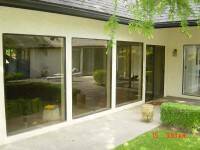 One of the most important things to look for if you are considering aluminum frame windows for your home or commercial project is the strength of the product. I think it can best be described like this. 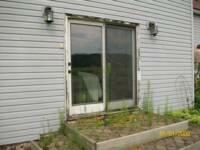 No matter what brand of aluminum window you purchase, the frame will be made up of parts. A top (or head rail) a bottom (or sill) and 2 sides, also known as “jambs”. These four components are going to be screwed together, and glass will then be installed into the frame. If you were to remove the glass from any aluminum window, you then would be able to remove four screws, and quite easily end up with four pieces of aluminum window frame. Let’s assume the window we took apart was five feet long and three feet high, a pretty standard size in every home. If two people grabbed the head rail, one on each end, they would be able to twist or even fold that 5 foot piece of aluminum with more ease than should be. 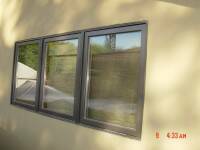 There are actually many aluminum windows available to the consumer that flex and twist when you are just carrying the window and preparing to install it into an opening. This is one main area that sets Milgard Windows apart from their competitors. Milgard’s aluminum extrusions are thicker, making them stronger and substantially more stable than most. When you are at the window retailer shopping for your new windows, pick up a Milgard aluminum window, then pick up another brand’s aluminum window of the same size. You will definitely FEEL the difference. Milgard Windows extrudes all their own vinyl. 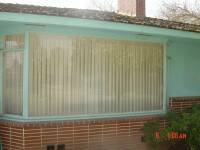 Vinyl windows are made primarily from polyvinyl chloride. (PVC) This material has many advantages, including being virtually maintenance-free. There are grave differences in the quality of one vinyl window to another. This is because a vinyl window frame is made from a compound, a recipe that dictates its performance over time. Each additive to a company’s vinyl recipe helps determine the long term characteristics of the final product. 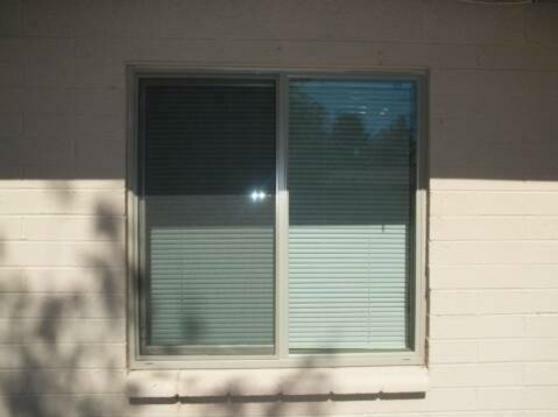 At a glance, all vinyl window may appear to be the same, or at least very similar. I can tell you without reservation, I have serviced many brands of vinyl windows over the past 20 years, and Milgard Windows vinyl product is second to none. No other window company in the US has more options available than Milgard Windows. If there is a configuration you can dream up, they either have it, or will make it. What is a configuration? A configuration is the way different types of windows are assembled. Examples would be the following – a very simple, yet highly popular window configuration would be a double single hung picture window. A window manufacture may call that in their catalogue a DSHPW. That means, a single hung window (which is a window that opens from the bottom up), mulled together with a picture window (a fixed window that does not open), plus another single hung window on the other side, thus making up one big window. The one thing that sets Milgard Windows completely out of reach from their nearest competitor is their lifetime warranty. Milgard windows carry such a great warranty, it made them who they are today. When Gary and Jim Milgard started building windows in a garage in Seattle WA, well over 40 years ago, they made a commitment to stand behind each and every window that held the Milgard name. And they have done just that. 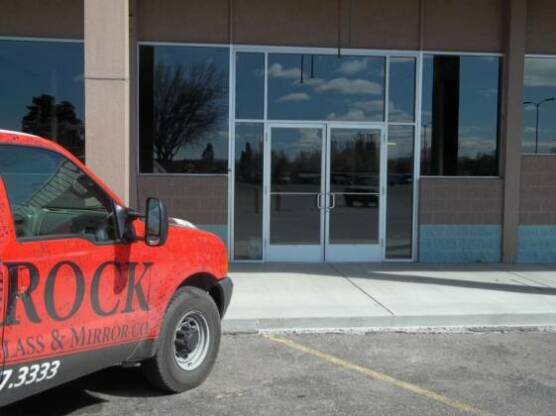 THE ROCK Glass & Mirror Company employs factory certified window installers. Owner, and certified glazier, Damon Cundiff, even spent 3 ½ years training window dealers to become factory certified. We allow you to deal directly with the window distributors and do NOT mark up your window prices. We charge ONLY for window installation. And, yes, estimates and quotes are always FREE. Low E glass is a type of treated glass that conducts visible light while controlling the passage of heat. Low E stands for low emissivity. This glass is an energy efficient way to control the heat being allowed in and out of a home or environment. Different types of Low E glass are available to meet the needs of varying climates. Heat transferred through glass is measured by the U-factor. This is the rate at which glass conducts non-solar heat flowing through it. The lower the U-factor rating, the more energy efficient the glass. Low-e glass allows visible light to pass through, but blocks heat-generating ultraviolet, requiring less artificial heating or cooling to keep a room at the desired temperature. Low E is now available in what is called – Low E squared, or Low E2. In simple terms, this means the sealed, dual pane unit is coated on both sides, interior and exterior. Low E Glass helps keep your home cooler in the summer, as well as helping to keep a good amount of heat inside your home in the winter.